The Australian government is pushing to implement a ”surveillance tax” on the people of the country in order to pay for a mandate that would see communications companies retaining data on customers for two years. 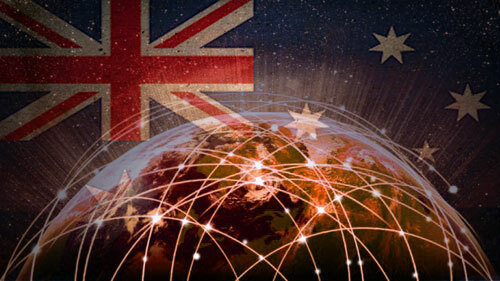 In a disturbing development that should serve as a warning to Americans, the Australian Attorney-General admitted that the surveillance system is ”under active consideration by the government”. The Age reports that communications companies believe the compulsory scheme will cost between $500 million to $700 million a year, a cost that will be passed on to the people. ”We’re concerned about the lack of oversight on how this scheme might operate and there are also significant privacy concerns,” said Teresa Corbin, CEO of Australian Consumer Communications Action Network. Other telco officials estimate that the “surveillance tax” will mean a rise in costs of $5 to $10 extra a month. Steve Dalby, chief regulatory officer at iiNet testified at a Senate hearing this week that the Attorney-General’s Department considers the ”metadata” that is to be retained to include not only telephone records, but also internet access, email and internet telephony. The communication data is said to encompass indicators of time, location, sender and receiver, as well as URLs and IP addresses. It’s essentially the same information that the NSA has been siphoning from Americans’ communications for years, as revealed by whistleblower Edward Snowden. ”iiNet has no use for surveillance data, so there is no commercial driver to collect a massive volume of data, indexed to individuals, that we’ll never use.” Dalby added. The government, of course, argues that it must implement mass data retention because of the threat of terrorism. ASIO, the Australian counterpart to the NSA, says that privacy concerns should not be paramount because, essentially, privacy is already dead. ”For the life of me I cannot understand why it is correct for all your privacy to be invaded for a commercial purpose, and not for me to do so to save your life,” ASIO head David Irvine told the Senate hearing, adding ”the public should not be concerned that there’s going to be gross misuse”. One so called Liberal senator, Ian MacDonald, agreed, saying that he would ”rather be alive and lack privacy than dead with my privacy intact”. The Australian government has also brought in former NSA officials to back the push for data retention, with Former NSA chief legal adviser Stewart Baker arguing that ”an unholy alliance of business and privacy activists” are hampering counter-terrorism operations. Whistleblower Thomas Drake, one of the scores that have been indicted by the Obama administration, told the Australian Senate that the government’s scheme is really about shifting accountability onto private companies and away from itself, and creating laws to justify mass spying.